Hospitality management programs provide amazing career development opportunities, plus they give professionals in the field a chance to travel and explore the international industry. The demand for experienced hospitality management professionals is growing. This is why many universities have started offering online degree programs. If you’re interested in becoming a manager in the field of hospitality and tourism, you’ll need to choose the right educational opportunity. Here are some of the best picks, based on the quality of the online program, the curriculum and the experience of the staff. East Carolina University has an online bachelor of science degree in hospitality management. Students can choose among several fields of concentration – food and beverage, lodging and conventions and special events. East Carolina University is accredited by the Commission on College of the Southern Association of Colleges and Schools. Its school of hospitality leadership was founded back in 1987. Today, it’s the largest department in the field among all universities in North Carolina. The conventions and special events concentration is the one that will contribute to the biggest number of travel opportunities and a chance to work with professionals from many parts of the world. After the sophomore year, all students will have to complete an externship. An internship will be required prior to the start of the senior year. The convention and special events students will have to complete 400 work hours of field experience on top of the online academic requirements. Speaking of academic requirements, here are some of the courses included in the curriculum – multicultural hospitality management, lodging management, introduction to conventions and special events, principles of food preparation and menu planning, dimensions of tourism, hospitality marketing, hospitality human resource management and convention sales and service management. The cost of joining the East Carolina University online hospitality management program is 134 dollars per credit hour for residents and 648 dollars per credit hour for non-residents. UMASS offers a bachelor of science degree in hospitality tourism management. The university prides itself mostly with the fact that students acquire real working experience prior to graduation. Experimental learning labs and internships are essentials, on top of the online access to the core requirements. 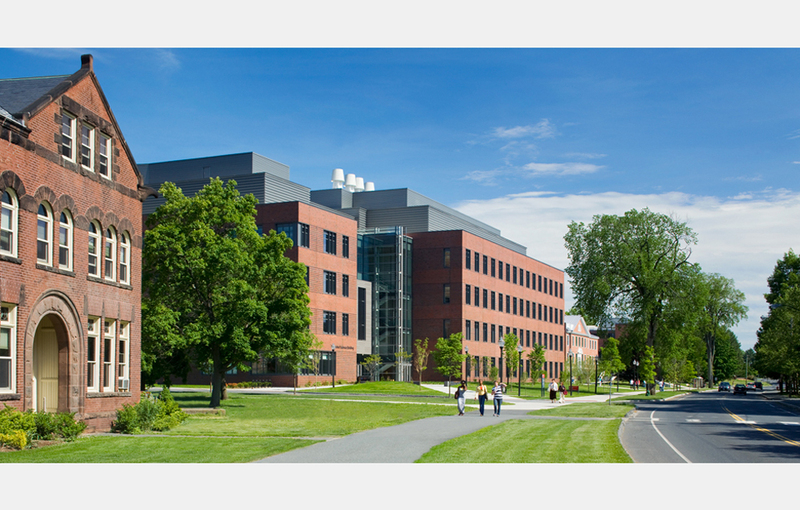 The university is accredited by New England Association of Schools and Colleges and the respective department is housed at Isenberg School of Management. All of the faculty members have decades of practical experience in the ever-changing world of hospitality management. The curriculum is contemporary and it gives students several specialization opportunities. A few of the specialization possibilities include gaming and social policy, beverage management, special events management, club management and convention sales. In terms of courses, the curriculum brags a number of intriguing entries. Some of the courses that students can choose among include casino management, convention sales management, hospitality managerial accounting, tourism policy planning and special events management. It’s also interesting to point out that the department is known for the annual career day that brings more than 50 tourism and convention companies on campus. This possibility gives students access to quality employment opportunities, including work positions outside the US. The cost of online education at UMASS is 525 dollars per credit. Financial assistance options are available. The Washington State University online undergraduate degree in hospitality business management is probably the best possibility when it comes to traveling abroad while still being a student. All of the students enrolled in the program can apply to spend a semester abroad and continue their education in Switzerland. On top of offering this amazing perk, Washington State University is recognized for the quality of its online program. Apart from taking the core courses (that can be transferred from another university), students will be required to complete the accelerated seven-week hospitality management courses. Some of the courses in the university’s curriculum include hospitality systems, food service systems, operational analysis, hospitality leadership, personnel and human resources management, law and the legal environment and developing effective communication. The global learning requirement is the final one and it can be completed via a semester abroad, an international internship or the completion of the required coursework. The cost of education at Washington State University is 543 dollars per credit for Washington residents and 570 dollars per credit for non-residents.